This is a bracelet with one of the best color combinations. 10 carats of black diamonds lie on your wrist; each is surrounded by a frame of brilliant diamonds, with a total diamond weight of 1.52 carats. 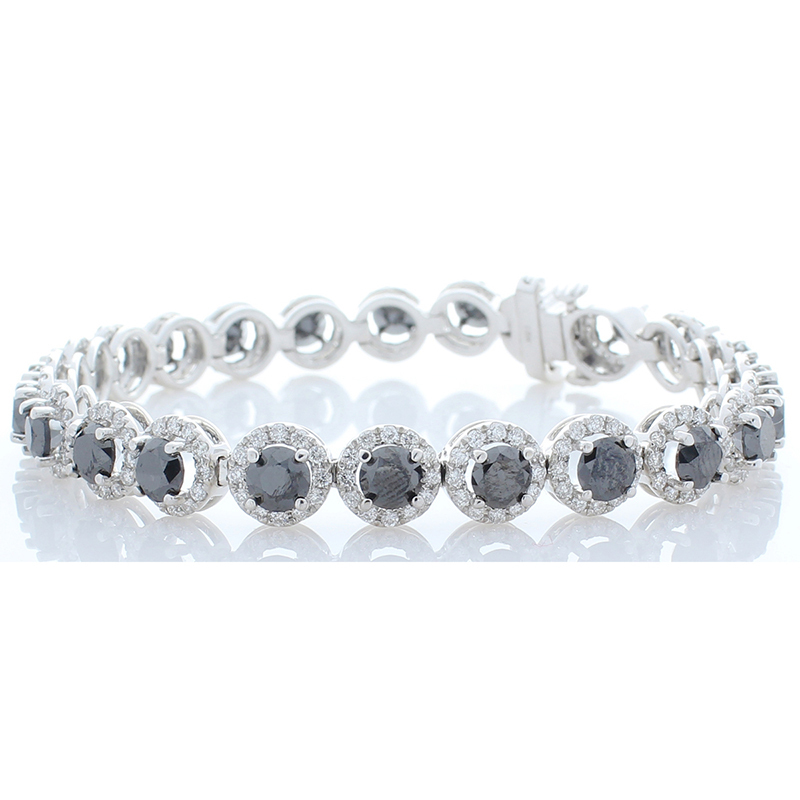 This lovely 18k white gold bracelet fastens securely with an easy-to-use clasp.